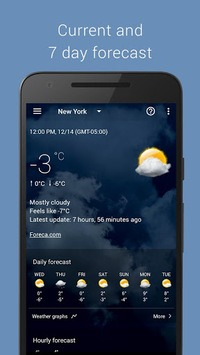 Check the weather for today or tomorrow easily with Transparent Clock & Weather. Get accurate local and worldwide weather forecast for the next 10 days and plan your days, weekends and holidays with ease. 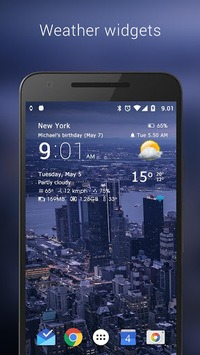 Use our beautiful transparent weather and clock widgets and get instant weather updates directly on your home screen. 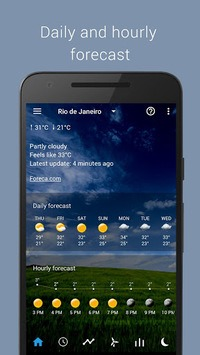 Launch the weather app for extended forecast, useful weather details, graphs and much more. Download Transparent clock & weather and get your free personal weather channel. Plan your daily activities, weekends and holidays with ease and never let bad weather spoil your plans ever again. We are constantly working hard on making the app better and more useful for you. Your feedback is valuable to us so feel free to email us for any questions, suggestions, requests or problems. If you like Transparent Clock & Weather, make sure to rate us and tell your friends about it.